Lovely as a Tree is the oldest stamp set in the 2013-2014 Stamping'Up catalog, and I never tire of creating with it. This six stamp set can be found on page 78 of the idea book. Each Fall I reach for this set to see what inspiration comes forth. 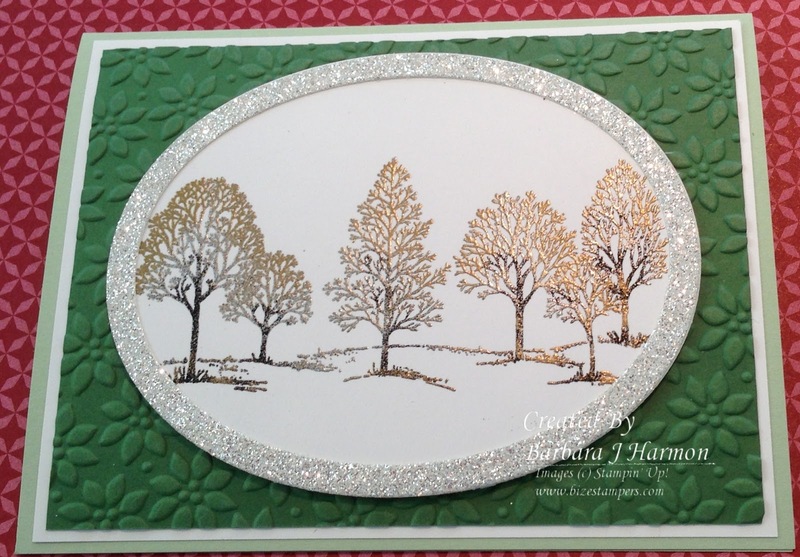 This year I triple heat-embossed the trees with black, silver and gold embossing powders on our whisper white card stock. I used Sizzix Oval collection to cut the whisper white and silver glimmer paper edge. It is very easy to do with the seven layering dies in this collection. Petals-a-Plenty is the embossing folder used on the Garden Green cardstock before layering on the whisper white cardstock. 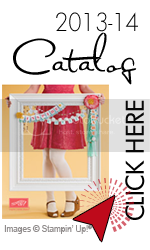 The card base is the new Pistachio Pudding card stock in the 2013-2015 InColor collection. This is one of five beautiful new colors. The triple embossing is an easy process and you can make several cards at one time with this process. If you need tips and pointers on how to do it just email and I'll be glad to explain the process. Or if you have an iPhone and ipad I can show you how in real time. Stay cool and enjoy this time to start on holiday cards.